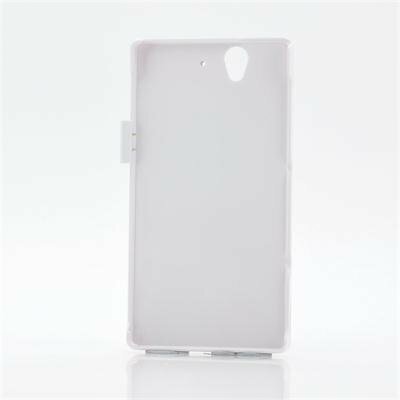 Successfully Added External Battery Case For Sony Experia Z L36h/L36i - 2800mAh (White) to your Shopping Cart. External phone case that has been designed specifically for Sony Experia Z L36h/L36i has a built-in 2800mAh battery for extra power. Created to fit on the back of a Sony Experia Z L36h or L26i, this case can also give your phone the extra battery life it may need as well as keeping it protected. With 2800mAh built-in to the case, jus simply place your Sony Experia Z into the case and enjoy as your phone gets an extra boost of life. 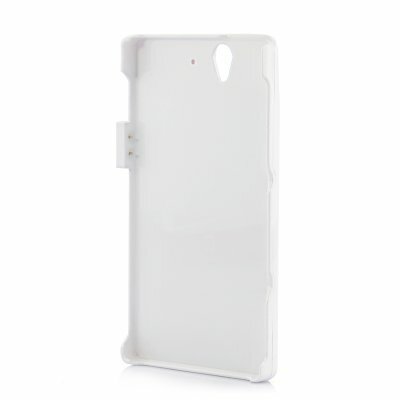 The design of this stylish white external phone case with an external battery is that it caresses your phone while you are still able to operate it easily. Also located on the back of the phone case is a flick stand, therefore if you wish to view videos on your Sony Experia Z all you have to do is pull out the kick stand and set the phone up in landscape view and you can watch the video in comfort without having to aid it with your hands. In stock now, this high quality custom case for the Sony Experia Z can be shipped out to you within one working day. Brought to you by the leaders in wholesale phone accessories and cases, Chinavasion.